This year Jake decided to change things up and picked a NEW spot to go for his birthday! 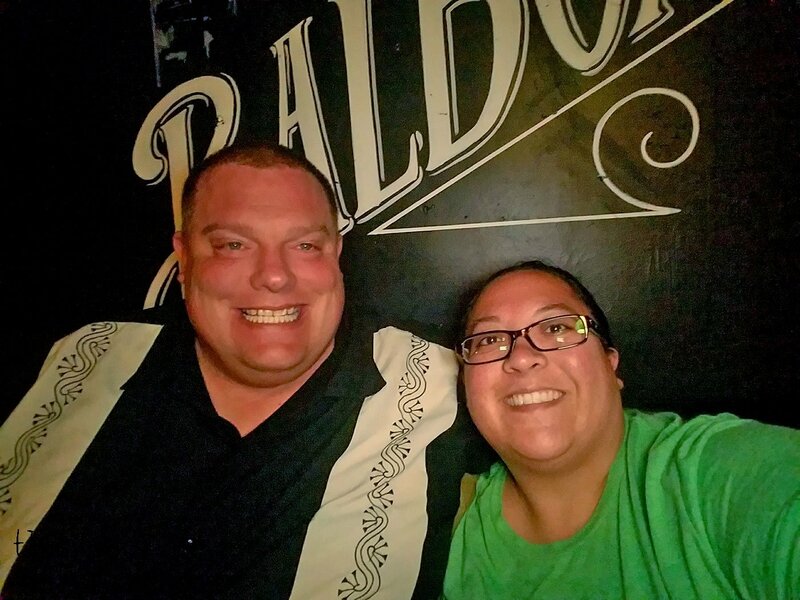 We had been wanting to try the burgers at the Balboa Bar & Grill for awhile and he decided that his birthday was the night to go. 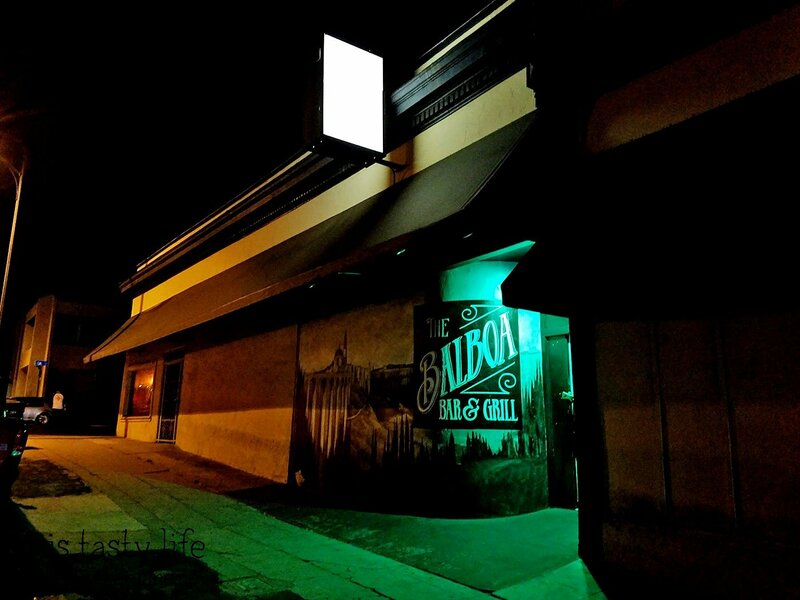 The Balboa Bar & Grill is located in Uptown and unsurprisingly, across the way from Balboa Park. Jake’s birthday was on a Thursday this year and I snagged parking right around the corner. It was after 6PM so parking was free. 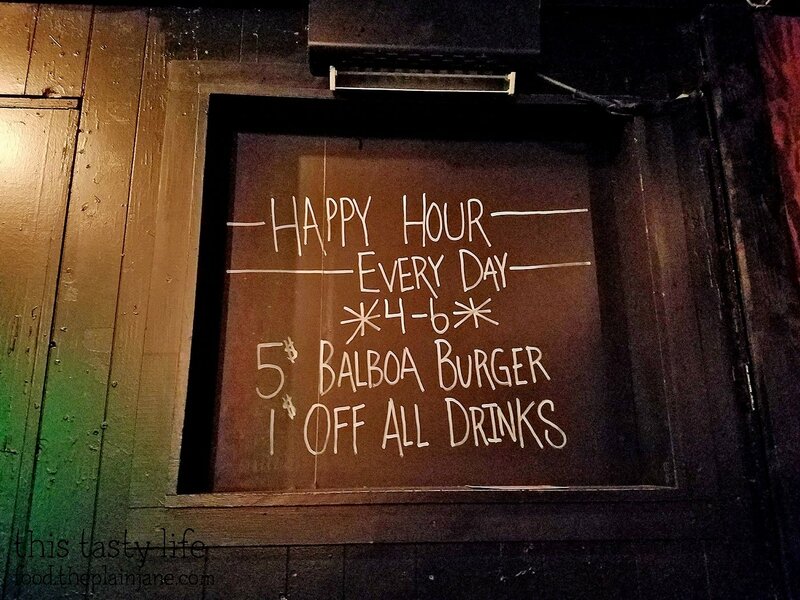 They have a swell $5 happy hour burger deal though if you’re able to make it in time. Here’s the full menu. Mostly burgers, a couple of sandwiches, and a salad. The menu is simple and they specialize in just a few things. That’s how I think it should be. You place your order at the bar. It’s right next to the menu. You don’t have to try and flag someone down to awkwardly stand somewhere trying to get someone’s attention. 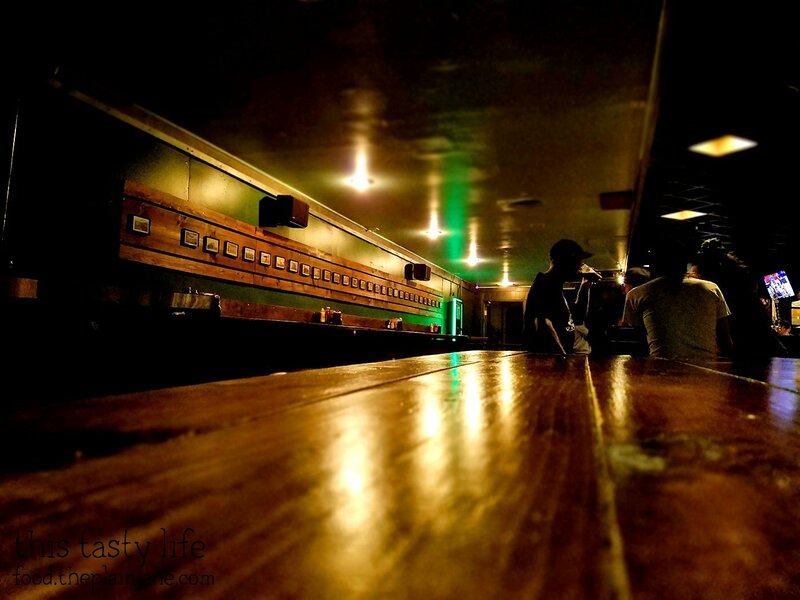 There’s a spot with no barstools to make your life easier. I like that. Jake snagged us the only booth in the back corner of the bar. There were maybe 6 other people there that evening. It was mellow, quiet, and uncrowded. Just what I like. We didn’t have to wait too long for the goodies to arrive. They have a number system so they bring the food right to your table. Jake didn’t want to get the same thing as me and he ordered the Pastrami Burger [$10.75] which comes with pastrami, mozzarella cheese, pickles, onion, and mustard. I quite enjoyed their pastrami. It had a good flavor, wasn’t salty, and was thin enough to be chewed through easily. Quite tender to boot. I had a bite of Jake’s burger, too, and sadly bite into a pickle right away. It was dark in our corner booth so I didn’t see the evil pickles. But besides that it was a solid tasting burger. 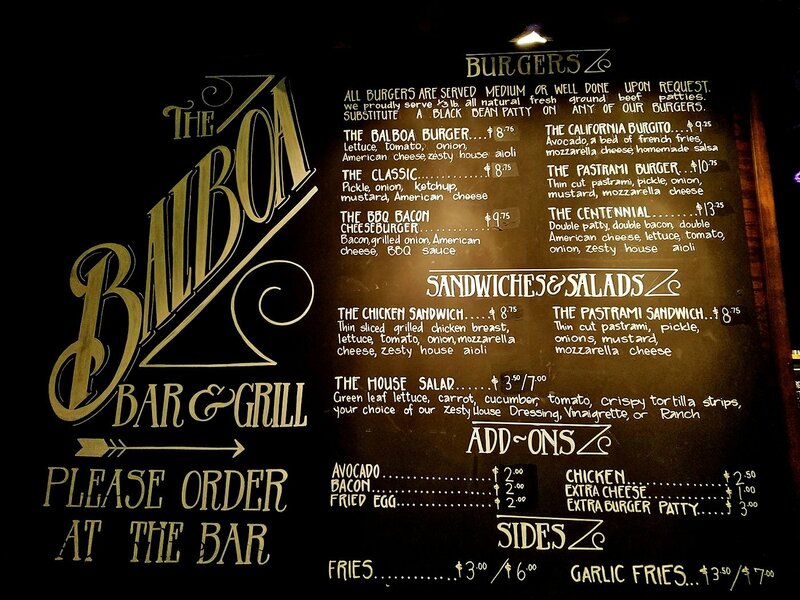 I went with the namesake and ordered The Balboa Burger [$8.75]. 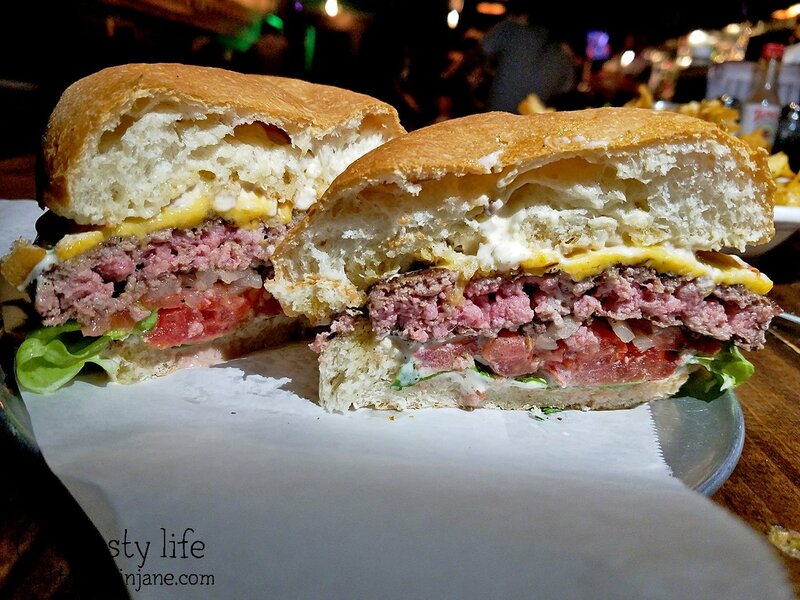 It comes with lettuce, tomato, onion, American cheese, and a zesty house aioli sauce. The Balboa Burger was cooked to a perfect medium rare. 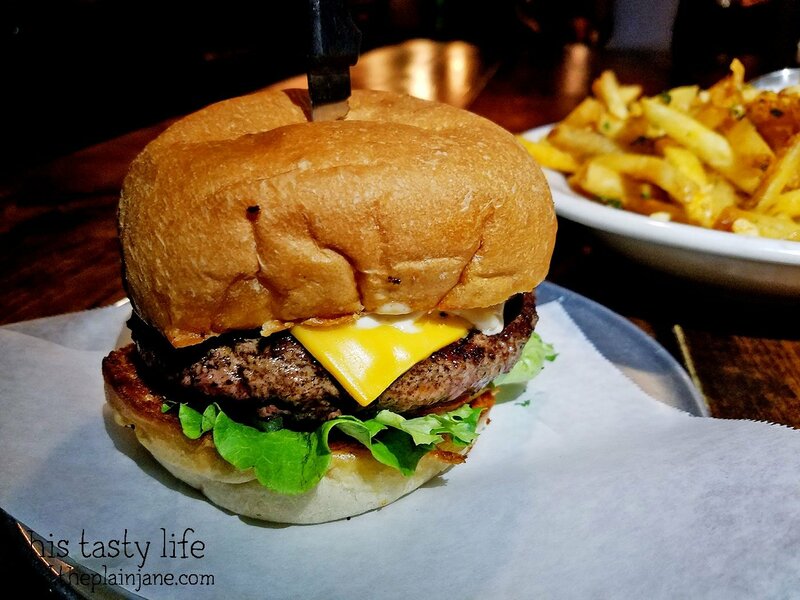 The patty was SO juicy and full of incredible flavor. It was well seasoned and tasted great with the condiments and melted cheese. I thought the bun would be too much bread, but it eventually squished down and was a good balance with the tasty beef. My hands had a few beefy drippings on them and I was surprised at how flavorful this burger was. 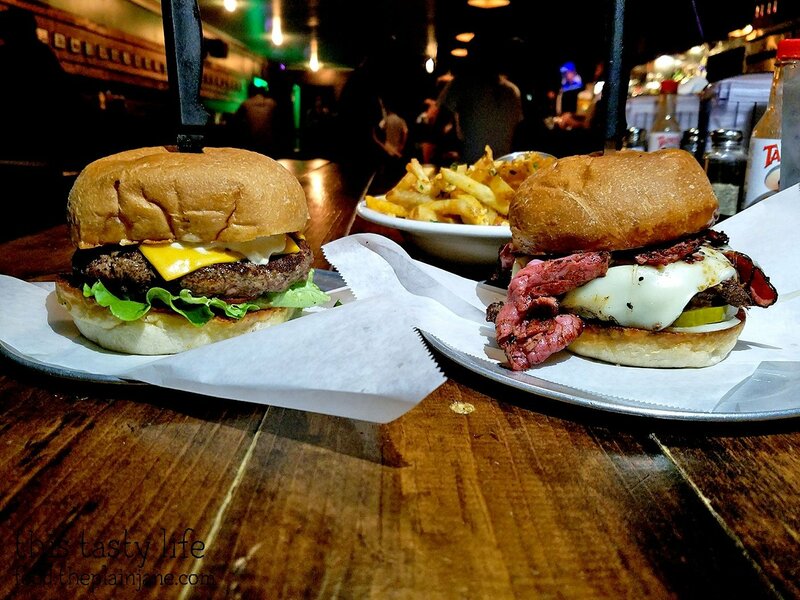 I could see why this burger is raved about! 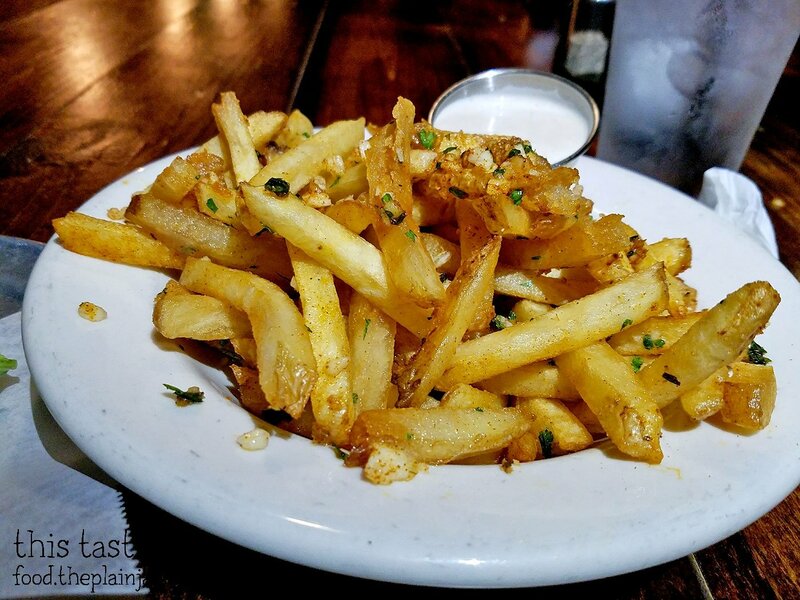 To compliment our meal, Jake and I share a large bowl of Garlic Fries [$7]. Every fry seemed to be perfectly crispy and there was a mixture of garlic and herbs on top. A lot of garlic kind of fell off the fries so you had to make sure to pick up the garlic, too, but despite that I quite enjoyed these crispy fries. Jake didn’t think they were garlicky enough but I loved them! All in all we were quite pleased with our dinner at the Balboa Bar & Grill. I can foresee myself having a craving for the burgers and fries again in the very near future. 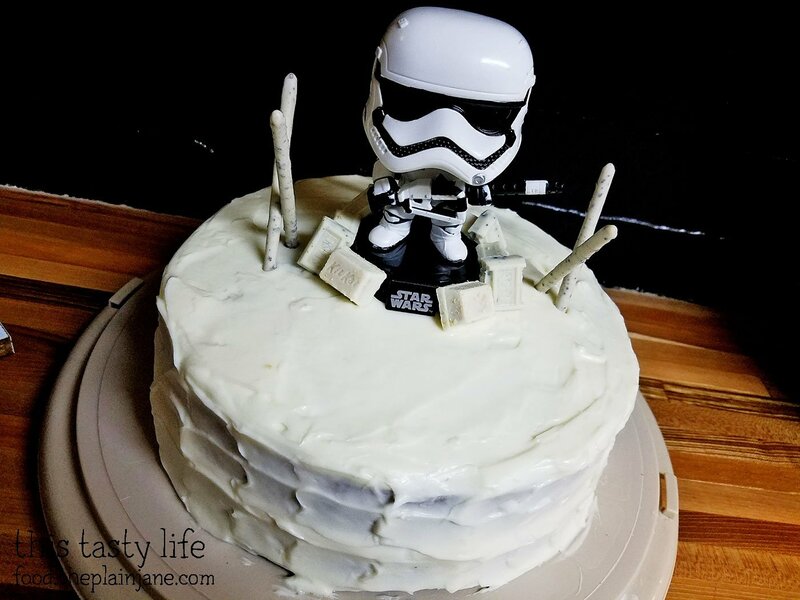 For Jake’s birthday, I made him a Stormtrooper Cake! It’s got cream cheese frosting on the outside and carrot cake on the inside. No raisins in my carrot cake, thank you very much. It was chock full of pecans though for a bit of crunch. Jake told me it was the “best carrot cake he’s ever had”. I don’t know if he’s just being nice, but it’s still nice to hear. Happy birthday to my Jake! Awesome birthday cake! Balboa is one of my fav burger joints. Hi Soo! Thank you! I really really really liked this burger. I want to go have another one soon! Happy Birthday to Jake! He’s such a great guy! 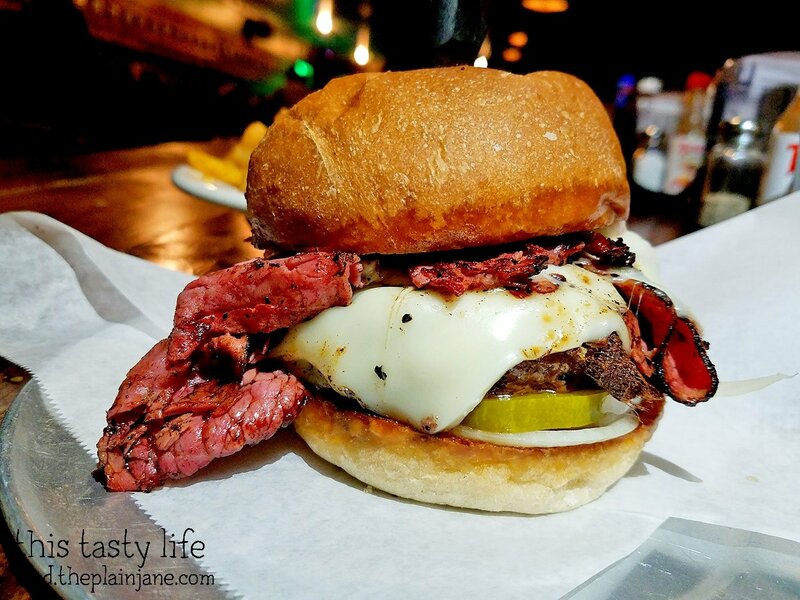 Everything you had looked so good, especially that pastrami burger. Bert would like that, but I don’t want to wait ’til his birthday (which was September) to try it. As always, your cakes are so cool!!! Thank you, CC! Jake is a wonderful guy 🙂 I think I want to try and go for happy hour to get a cheaper burger. 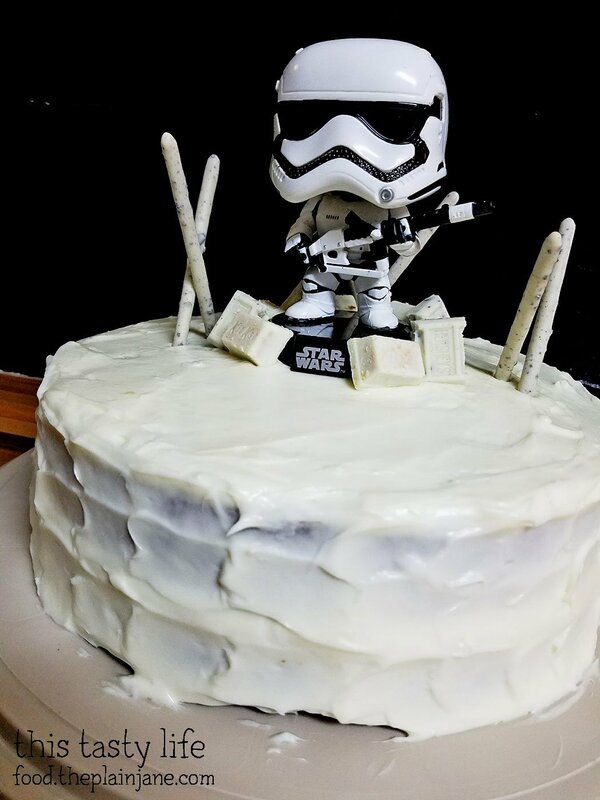 I figured you would like the Star Wars cake!